I am fully disturbed to learn that I have no written a standalone post about Norwegian princess Astrid S since December 2015, back when I was full shooken by 'Hyde', which, by the way, is still by far my favourite song of hers. 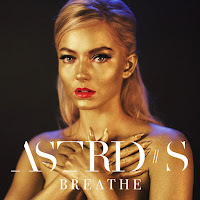 Astrid S put out her debut EP, a self-titled effort, last spring, which I must have covered in some respect last year and I feel as though it also made the long shortlist for my favourite EPs of the year list in December. Something else I'd like to touch upon before we get to the new single in question is how insanely precious Astrid S is. If you look on her Facebook page there is an abundance of real life footage from her European tour in the Autumn featuring events like buying pizza for everybody in the queue to her show, taking fans for crepes and literally paying for a girl's flight after she missed her flight to a show earlier in the tour. True royalty amongst us mere mortals. I absolutely adore songs that sound like they're born from real life experience, and that's exactly what 'Breathe' sounds like. This really feels like Astrid S' first potential hit and I am living for it. 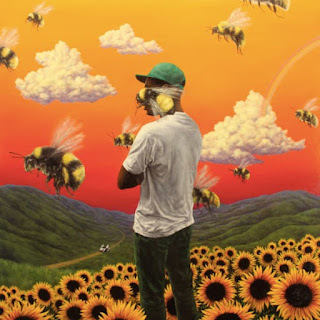 Not only is this an excellent pop song, but all of the references to air and the actions of breathing are a really cool lyrical touch - my personal favourite being, "if I could just inhale some chill". I've seen a lot of people complaining about Astrid's pronunciation of "astronaut" but imagine English literally not being your first language though. I think both this song and its video combined are really the level of art we wanted and didn't get from Zara Larsson this month, and I'll happily say that Astrid does gold paint better than Zara did silver glitter - and I loved that look. Speaking of this, 'Breathe's video is truly iconic and Cherry Cobra have down a stellar job of it. It's a fun 70s inspired clip that stars Astrid as one half of a criminal duo, robbing banks and wielding pistols. It's at this point a contender for one of my favourite videos of 2017. Astrid S plays London's Scala in May but Scala is a venue that I refuse to step foot inside so unfortunately I will not be attending, but don't let that stop you.